Right off the bat, let’s get it out there: Hong Kong isn’t exactly the cheapest destination in the world. Ask any Malaysian who has travelled to this bustling metropolis and they’ll definitely have stories to share about the insane cost of living there. Most of the time, it’s the price of food that gets us. While a holiday in Hong Kong might not sound like the ideal vacation idea for budget travellers, there are actually plenty of fun, exciting activities that you can try for free! That’s right, you can actually plan a trip to Hong Kong and pay RM0 apart from logistics and food! I can sense your skeptical eyes staring at me and I don’t blame you. Let me make a believer out of you because here are 20 free things you can do in Hong Kong! 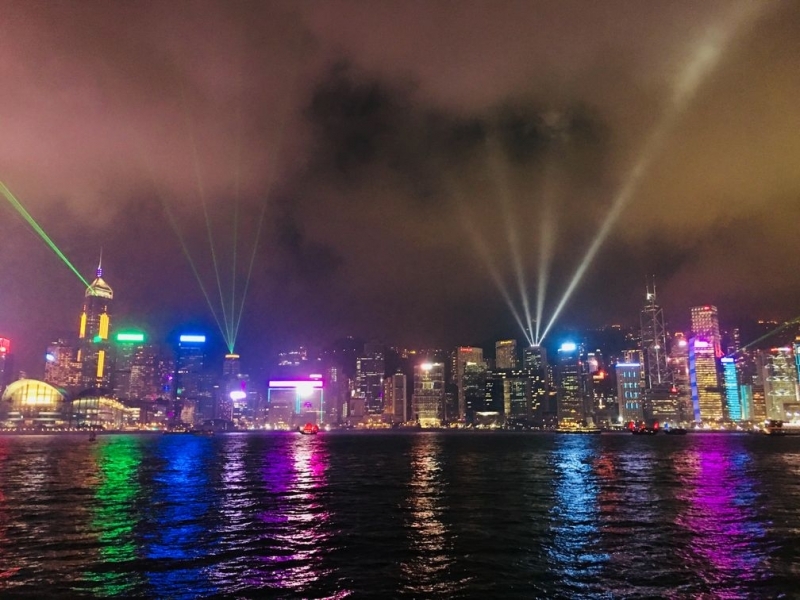 The Symphony of Lights is a daily lights show which comes on at 8 p.m. at Victoria Harbour. The best place to view this dazzling light and sound performance would be at Tsim Sha Tsui Promenade. From experience, it’s best to avoid the weekends as you’ll probably see more people than the light show itself! It lasts only about 15 – 20 minutes but it’s certainly one of the most iconic attractions in Hong Kong. In the area surrounding it, there are also a few historical attractions such as the Hong Kong Clock Tower. Speaking of iconic attractions, Victoria Peak is exactly that. Home to popular places like Madame Tussauds Hong Kong, “The Peak” is a timeless classic that’s a must-visit for any first-time visitor. 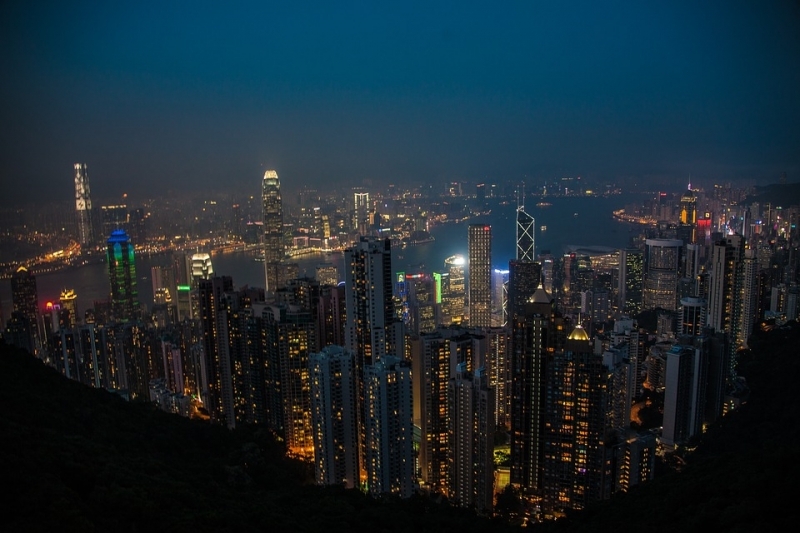 One of the best things to do is to ascend in the evening so you can admire the stunning Hong Kong skyline at night. The journey to the top aboard the Peak Tram is a memorable activity in and of itself. While it isn’t exactly “free” (a return ticket is priced at 52HKD, about RM27), it’s certainly one of the attractions in Hong Kong worth paying for. And, it’s not that expensive either! After three long years of renovation, Hong Kong’s famous Avenue of Star is finally open to the public again. The city’s version of Hollywood’s Walk of Fame is an ode to the greatest names and stars of the Hong Kong film industry. 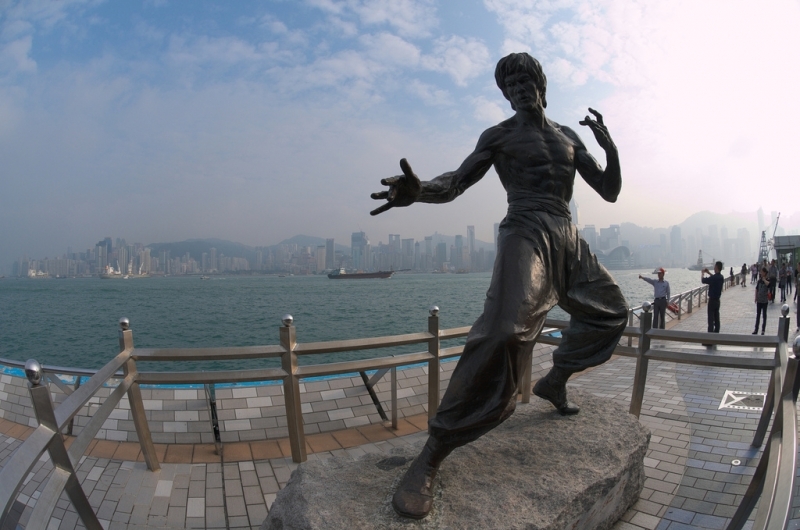 As you stroll along the avenue alongside the Tsim Sha Tsui Waterfront, you’ll no doubt recognise the towering statue of Bruce Lee alongside the faces of other prominent celebrities such as Anita Mui and Stephen Chow. Located off Prince Edward Road is Kowloon City, an enclave of cozy suburban neighbourhoods far removed from the bustling tourist districts. This is where you go for rustic local food and to observe the daily life of the locals. There are also plenty of Southeast Asian eateries here as well, thanks to the influx of foreigners here working as domestic helpers. 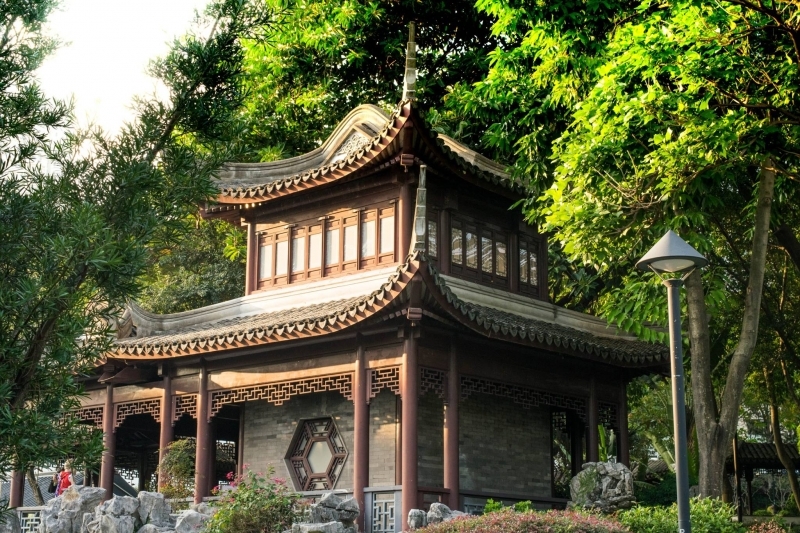 The gem in Kowloon City is the famous Kowloon Walled City Park, a popular filming location for dramas. This storied park is a living historical monument. It used to be a 16th century military garrison before it morphed into a laweless haven for drug-trafficing and prostitution four centuries later. It was not until 1987 that the park was converted into the public hangout it is today, even though remnants of its dark past remain in the form of monuments and old buildings. 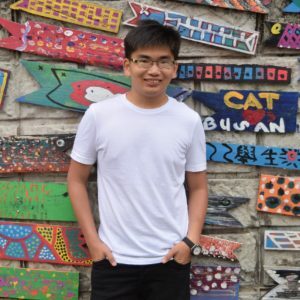 During my year of study in Hong Kong, I had the privilege of visiting some of Hong Kong’s finest museums, such as the Hong Kong Museum of History, Hong Kong Heritage Museum in Sha Tin, and the Hong Kong Maritime Museum. You might think that museums are boring and dated but museums in Hong Kong utilise a combination of conventional exhibitions and modern digital installations to provide exciting experiences. What’s more, the art scene in Hong Kong is blooming, leading to many unique exhibitions of new media art as well! 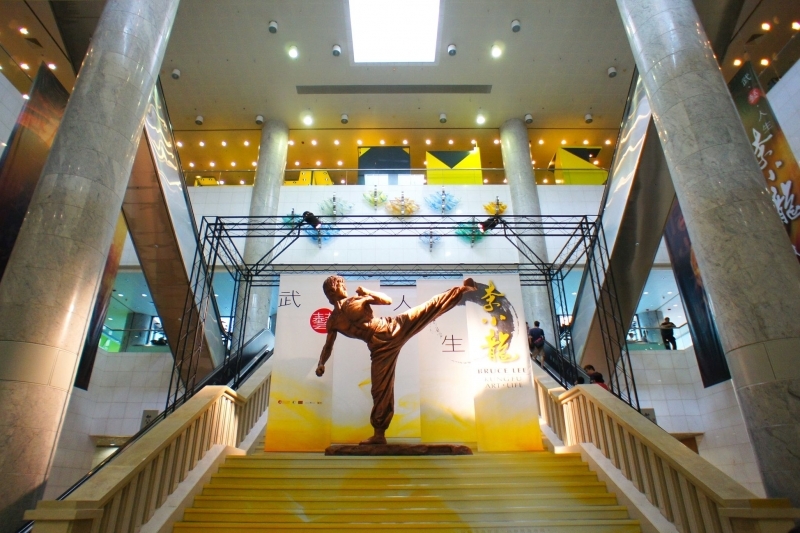 Definitely, if you’re looking to kill time, plan a visit to some of Hong Kong’s museums, you won’t regret it! Just like the many museums scattered throughout the city, the temples that blend into Hong Kong’s urban cityscape are well worth a visit too. Photogenic and serene, these temples provide a refreshing change in scenery compared to the gargantuan skyscrapers on Nathan Road or Central. 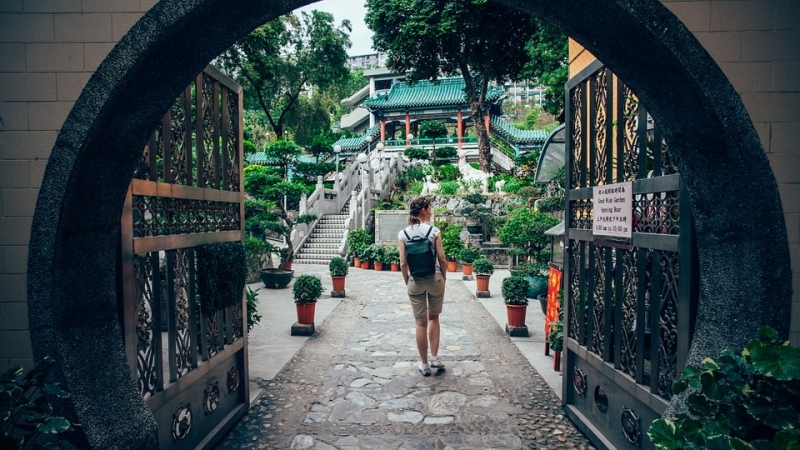 Some of my favourite temples to visit are: Hau Wong Temple in Kowloon City, Won Tai Sin, the 10,000 Buddhas Monastery in Sha Tin, and Man Mo Temple in Central. Last year, I also stumbled into the Chi Lin Nunnery in Sheung Yuen Leng. If you ask me, it’s one of the most underrated Instagram havens in Hong Kong. However, do take note that there are actual nuns living here so don’t overstep your boundaries as a guest and definitely try to keep your voices down! On the subject of temples, one very popular location is the Po Lin Monastery, located high up in the hills in Ngong Ping. Ngong Ping is a village located in the highlands of Lantau Island. It’s one of my all-time favourite places to visit in Hong Kong. It’s exceptionally beautiful in spring as the flowers bloom! There are several ways to get to Ngong Ping Village. If you have money to spare, you can hop aboard a cable car from Tung Chung (the ride takes about 30 minutes and costs 210HKD – about RM110 return). Alternatively, you can opt for the more budget-friendly option of taking Bus 23 from the station across from Tung Chung MTR Station. The journey takes about an hour and costs only HK$17.20 (about RM10). One of the first things you’ll notice in Ngong Ping is the massive statue of Buddha atop the hill. 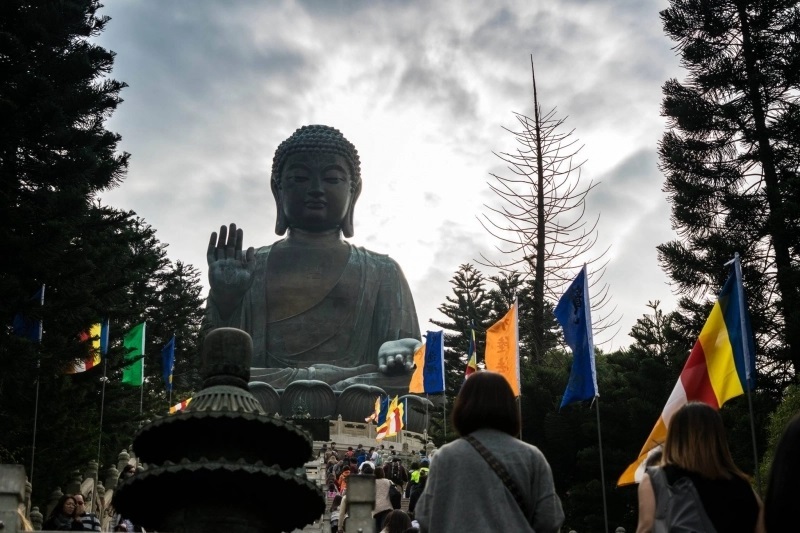 This is the Tian Tan Buddha, one of the largest Buddha statues in Asia. 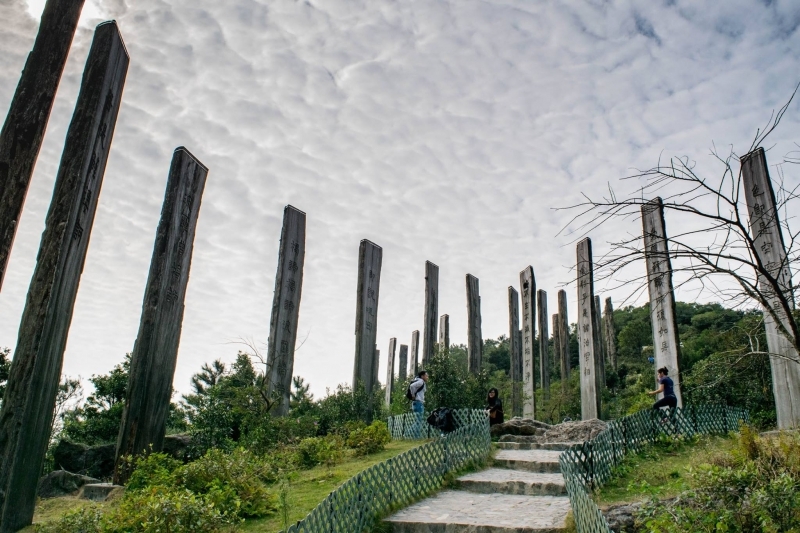 It symbolises the harmony between man and nature and is one of the top attractions in Ngong Ping apart from the Po Lin Monastery adjacent to it. In addition, you can also embark on a little hike along the hill or take a walk along the Path of Wisdom. 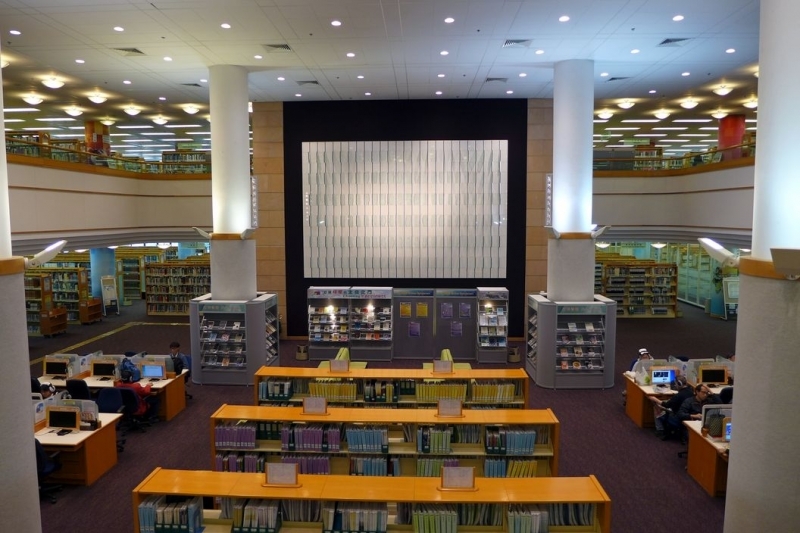 As you move, you’ll be surrounded on both sides by wooden pillars bearing words of wisdom. For those who can read Mandarin, you’ll surely recognise some of them. 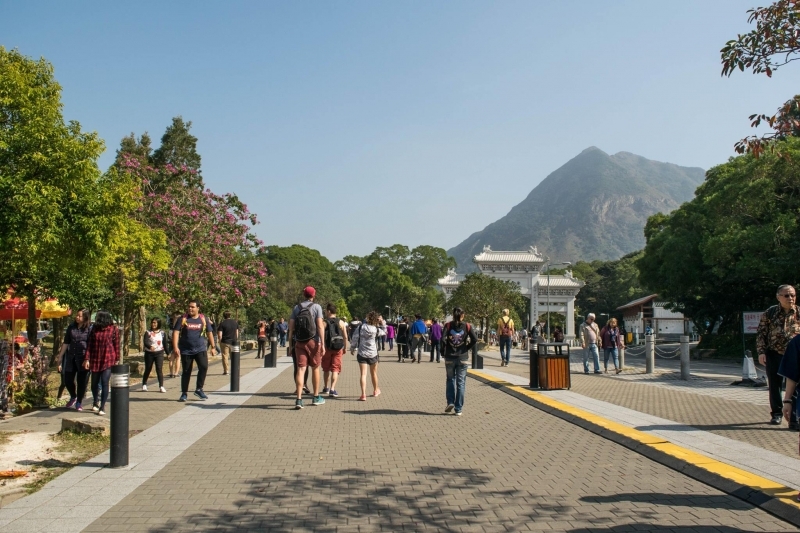 Ngong Ping can easily take up an entire day and since the village closes at 6 p.m., make sure to afford yourself enough time to explore! 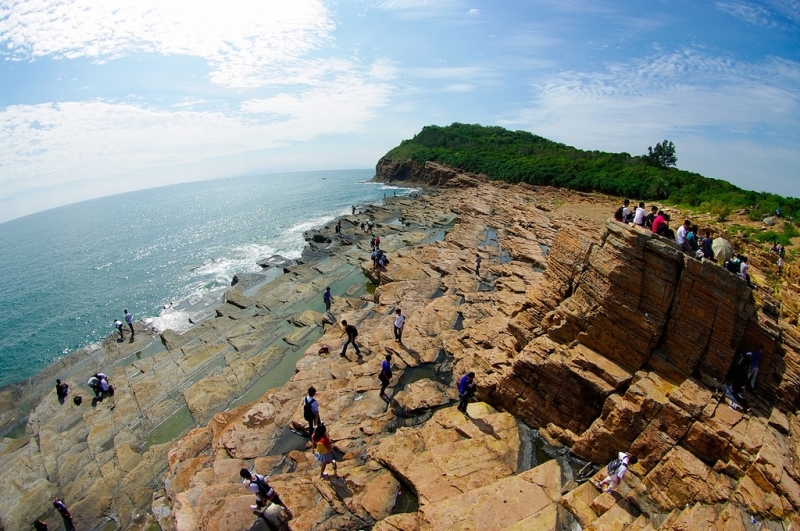 The Dragon’s Back is the most popular hiking trail in Hong Kong. While you may not associate the city with rolling hills and verdant greenery, this (relatively) short hike will quickly change your mind. 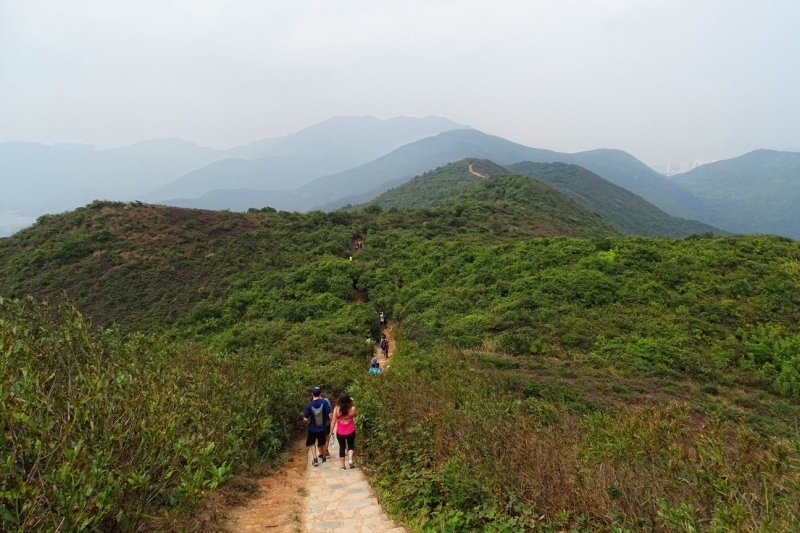 Located within Shek O Country Park, the Dragon’s Back Trail takes hikers on a journey ending with a wonderful aerial view of the beautiful southwest of Hong Kong Island, mainly of Shek O Beach and Big Wave Bay. The entire hike would take an average of 2 – 3 hours and should be pretty easy even for beginners. The best time to start the hike is around 7 or 8 a.m., when the weather is much cooler and the crowds have yet to flood the area. Hands up if you, like me, have seen at least one of the many movie/television adaptations of Journey to the West. 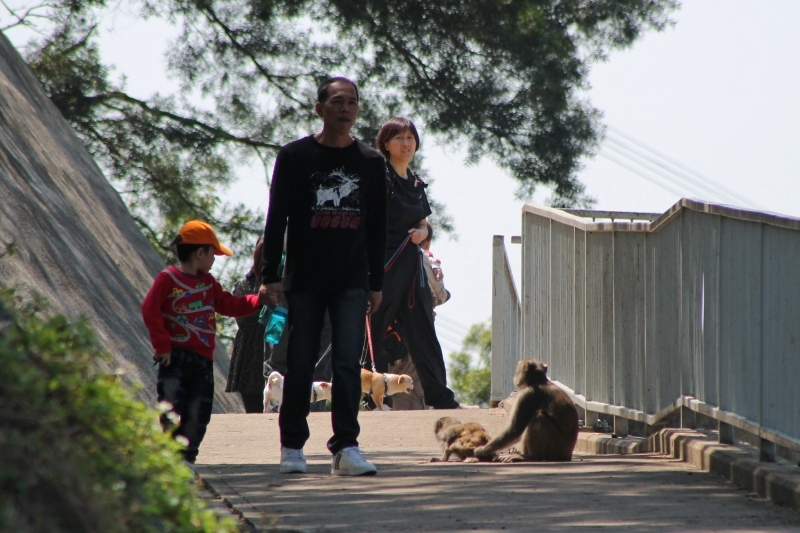 Well, with a nickname like Monkey Hill, Kam Shan Country Park is sure to make you think you’ve been teleported to the mythical Huaguo Shan (Flower and Fruit Mountain where Sun Wukong was born). In reality though, the park is filled with scenic jogging trails and picnic areas. But, as the name suggests, it is most famous for its free-roaming macaque monkeys. However, as cute as they may seem, keep in mind that these are wild creatures so make sure to keep your distance! 10. Speaking of parks, why not chill out at the lovely parks in the city? 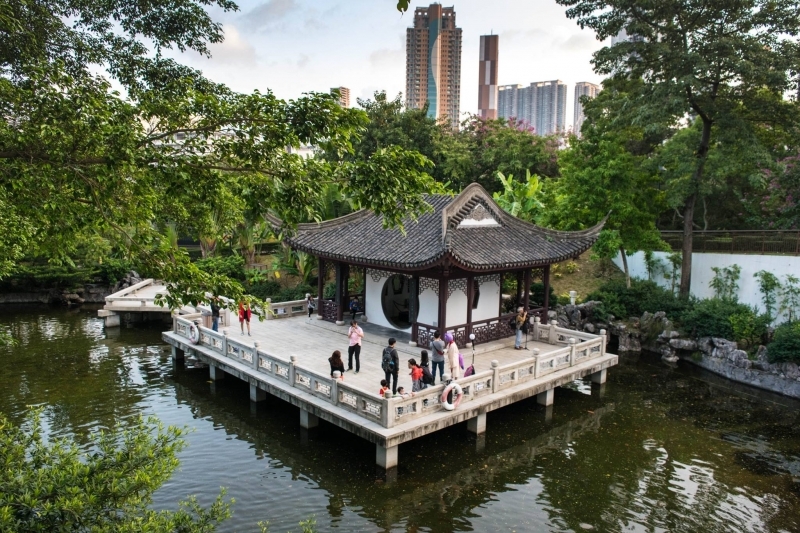 Hong Kong’s urban parks are some of the best in the world. With the city being such a crowded metropolis, it’s only fitting that these natural havens exist to provide locals and tourists a short respite from the concrete jungle. 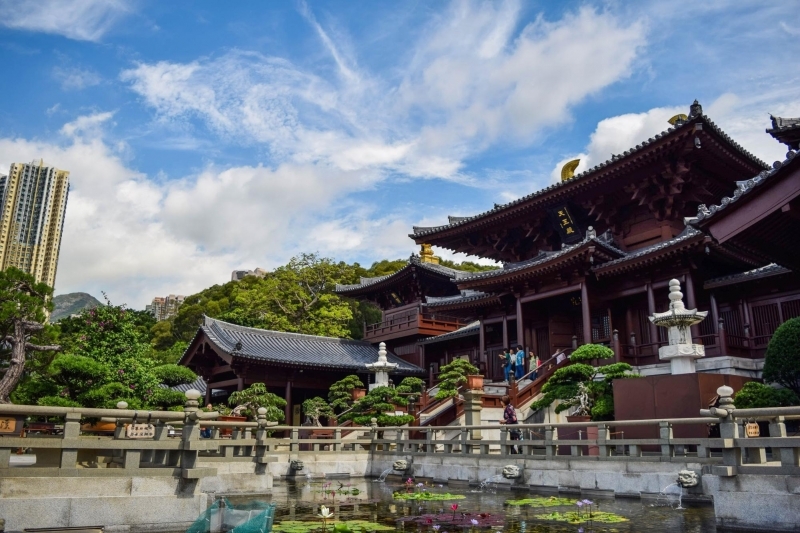 There’s Hong Kong Park and its popular Edward Youde Aviary, Kowloon Park and its quirky Avenue of Comic Stars, the Hong Kong Zoological Park and, my favourite, the aforementioned Kowloon Walled City Park. 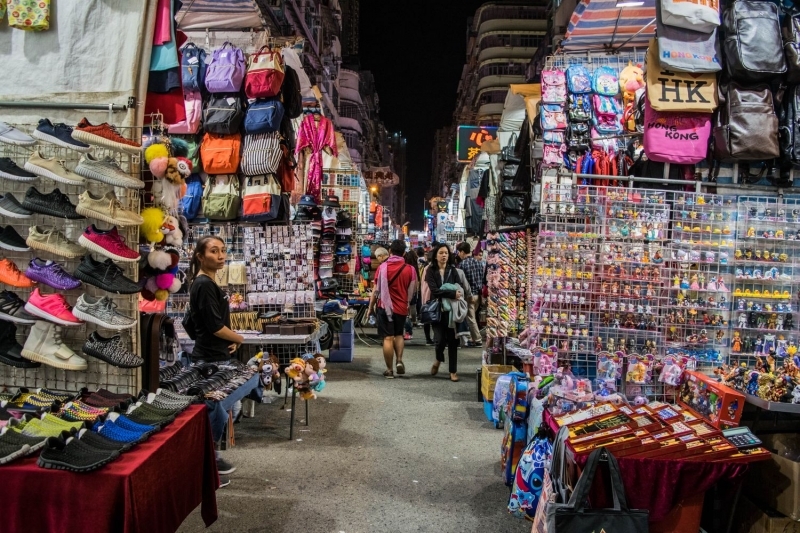 What’s a visit to Hong Kong without some time in its noisy street markets? Everyone knows about the popular ones like Ladies Market in Mong Kok, Temple Street in Yau Ma Tei, and Apliu Street in Sham Shui Po. Each of these popular markets have their own quirks but my personal recommendation is Ladies Market. There’s so much to see here, from imitation goods to quirky t-shirts and funny plaques with localised English phrases among the multitude of nifty trinkets and souvenirs. Be prepared to bargain with the vendors for the best prices! 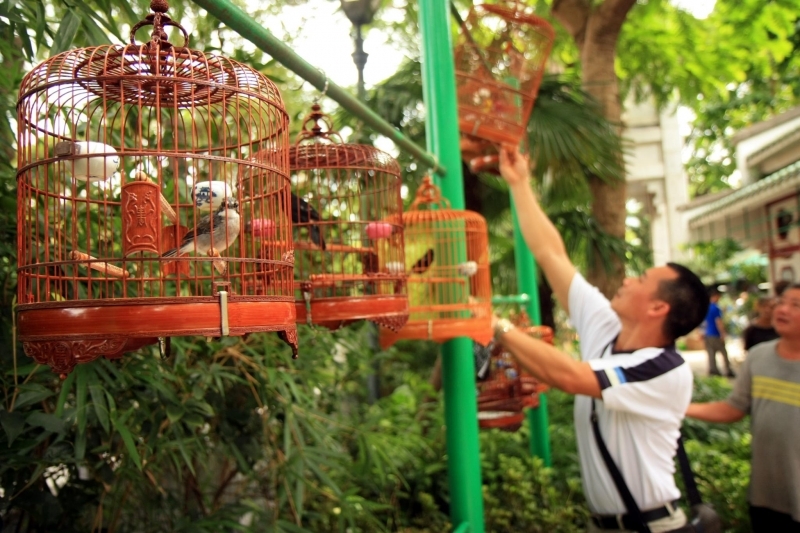 If you’re looking for something that doesn’t remind you of a noisy pasar malam, you can also visit the Yuen Po Bird Garden and the Yau Ma Tei Jade Market. If you’re in Hong Kong during the weeks leading up to the Lunar New Year, make sure to check out the colourful flower markets too! 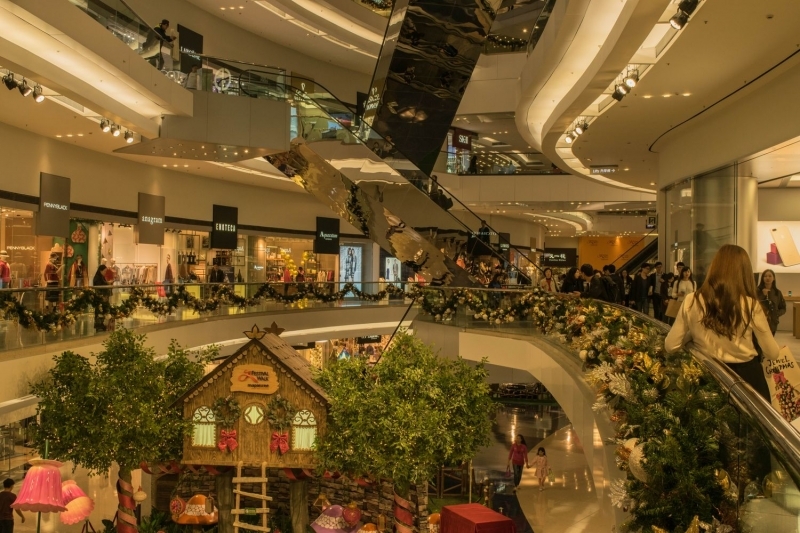 Hong Kong is a shopper’s paradise. There’s no doubt about that. There are so many shopping malls that you sometimes find two of them just mere blocks apart! In fact, the entrance to my university in Hong Kong was actually hidden in Festival Walk, a massive shopping complex in Kowloon Tong! However, if you prefer to do your shopping in rustic shopping arcades, there’s plenty of those too. I recommend combining a trip to Ngong Ping (remember?) with a trip to Tai O. 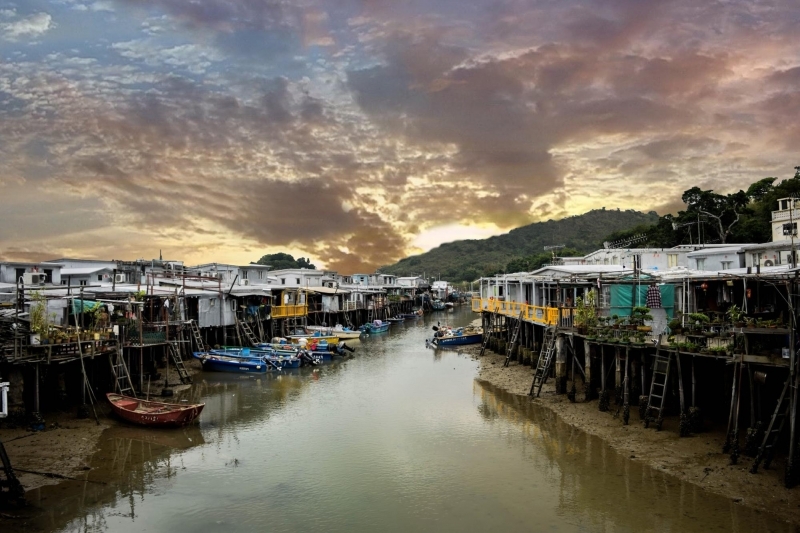 You can catch a bus to this ambient fishing village from Ngong Ping or the Tung Chung Bus Terminus. Here, you get to see a side of Hong Kong you rarely see anywhere else. 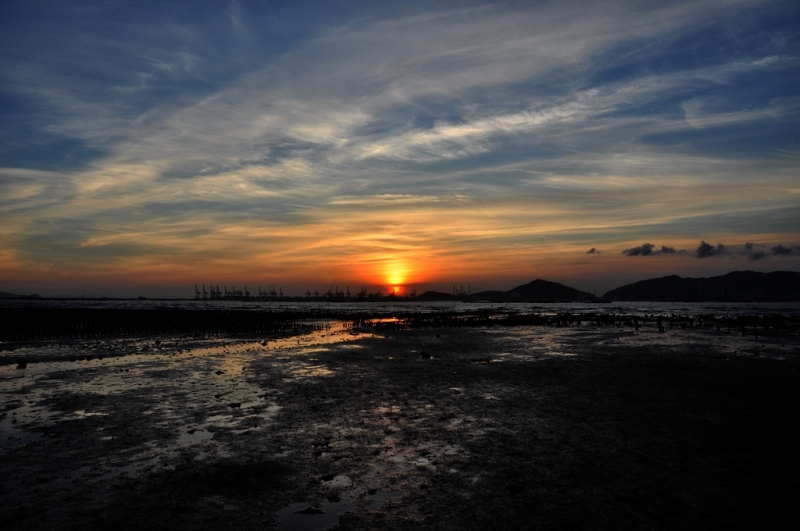 Traditional fishing boats, stilt houses and an incredible sunset vista over the hills. There are plenty of Insta-worthy locations in Hong Kong. 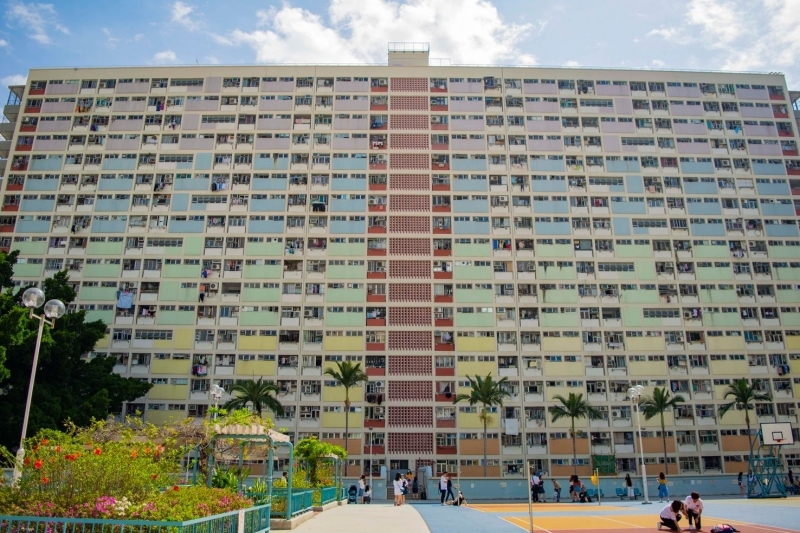 Some of them, like Choi Hung Estate and Montane Mansion in Quarry Bay, are pretty famous on social media. Others, like Instagram Pier, are lesser known and worth seeking out for that perfect #potd. 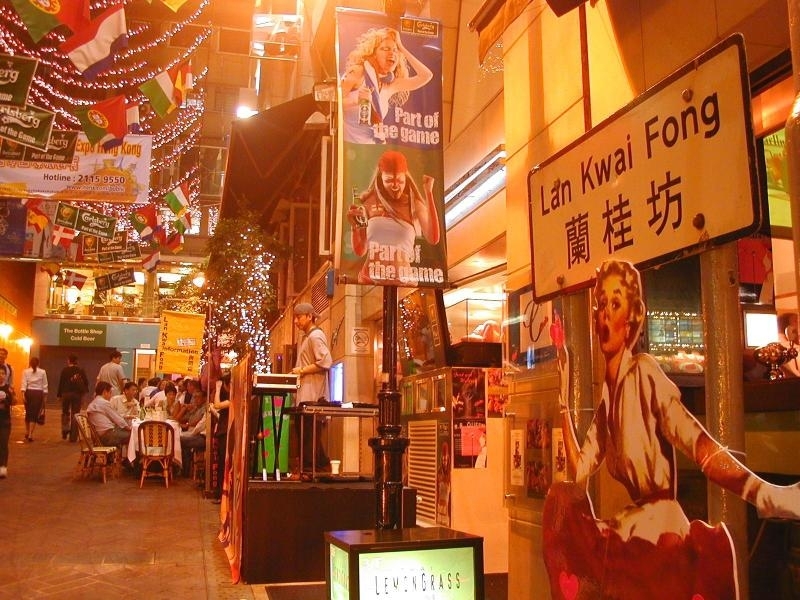 You might not be interested in going bar-hopping but the atmosphere at Lan Kwai Fong, particularly during a Friday night, is incredible. 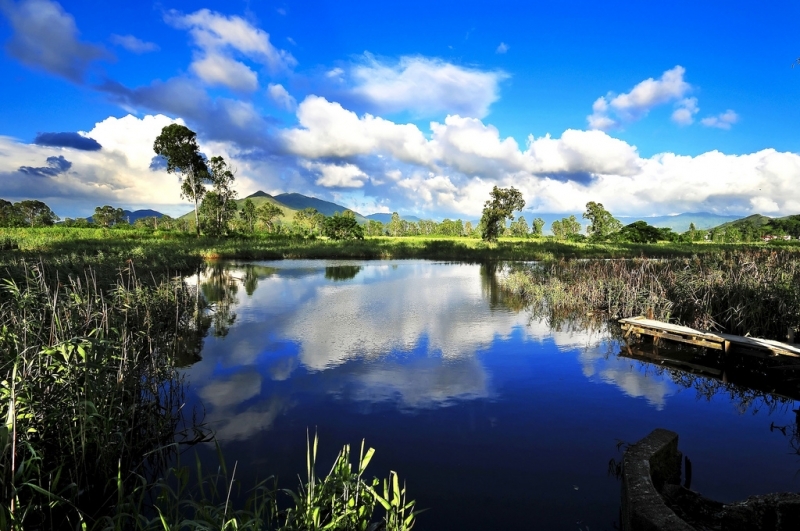 Ha Pak Nai is a wetland area in the Yuen Long District of Hong Kong. It is popular amongst locals as THE place to catch an incredible sunset and as a heritage site dating back thousands of years. There were initially plans to develop the area but they were unanimously rejected to preserve the area’s current state. Thank goodness for that. Where else can I get a sunset picture as pristine as this? And there you have it! 20 FREE things to do in Hong Kong that hardly cost a dime! 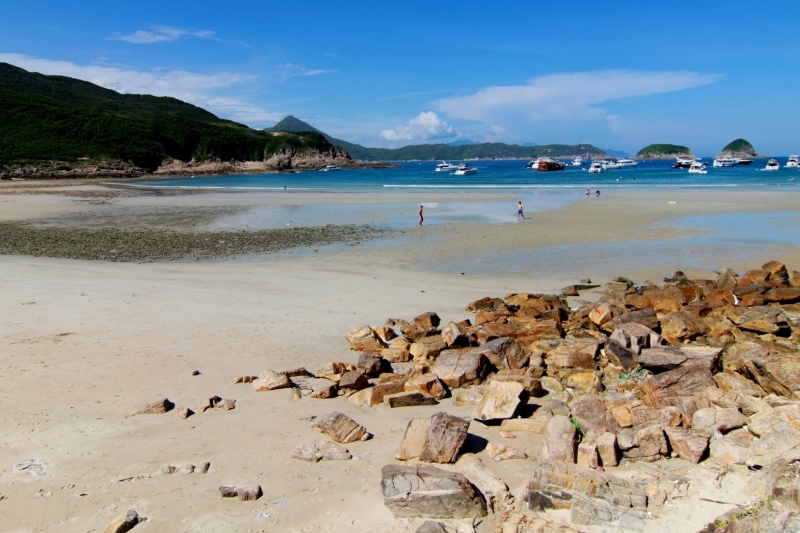 So, start planning your journey to Hong Kong now and make the most of this charming metropolis!